I have always loved to bake, and in honor of being a wannabe foodie, I always decorated my desserts using simple and complimentary ingredients to enhance the flavor of the dessert (fruit, chocolate, nuts, herbs, etc). 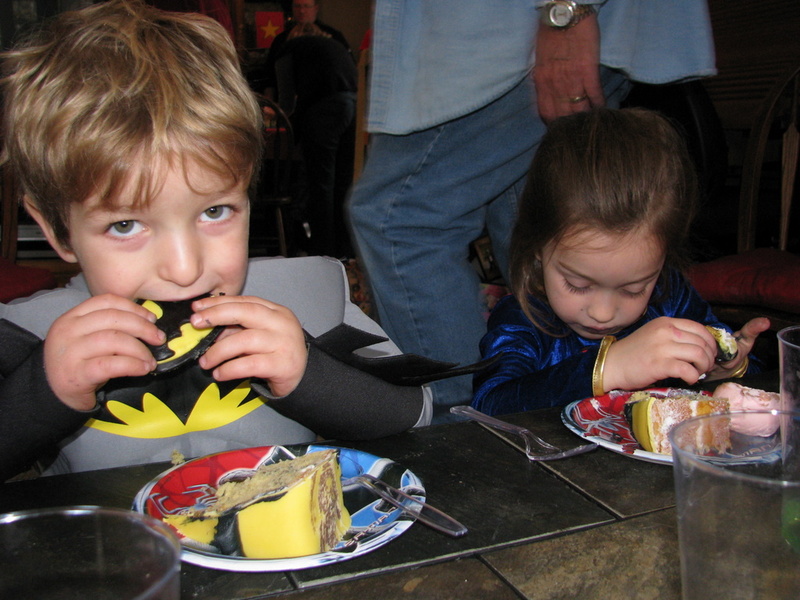 Although intrigued by serious cake decorating, I quickly judged fondant covered cakes as adult play dough. I would never subject my taste buds to such mediocrity, when I could cover my cakes in rich butter cream, tangy cream cheese, or dark chocolate fudge! 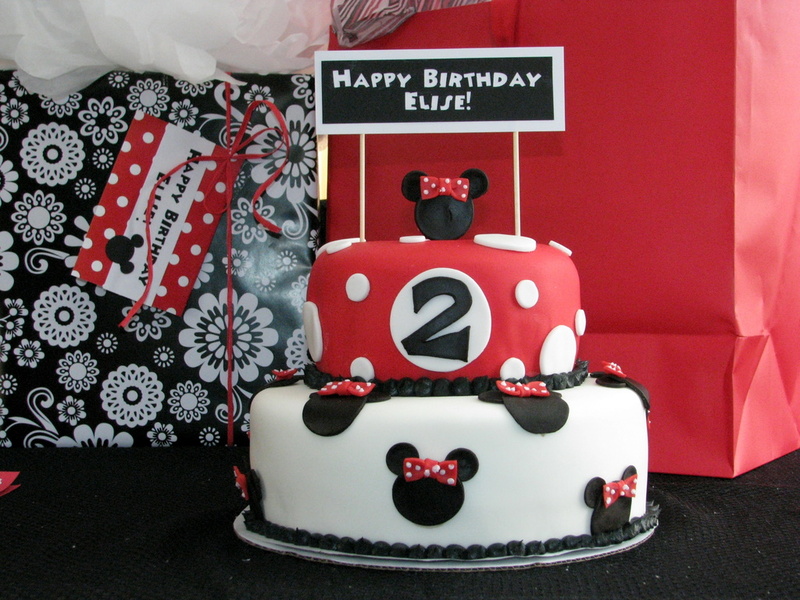 Who wants a cake that looks good, when you can eat a cake that tastes good?!? 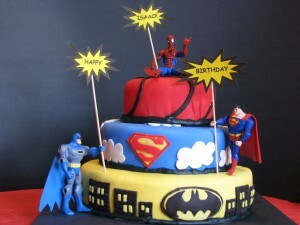 In November, however, my nephew Isaac requested a Super Hero cake for his 4th birthday party. 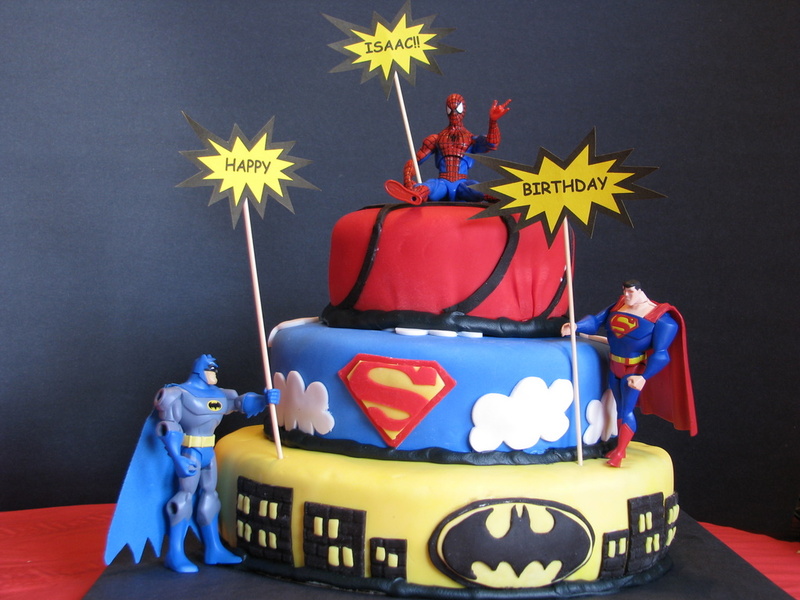 I had a feeling that a super hero cake, using chocolate chips and raspberries, wasn’t exactly what he had in mind, so I decided to embark on a full out fondant adventure! I searched the Internet for some general ideas and sketched a design that I thought would be Isaac-approved and Annie-able. As I started to work with the fondant, I quickly confirmed that it is totally edible adult play dough, but then… I remembered just how much I love play dough, and I was an instant fondant convert. 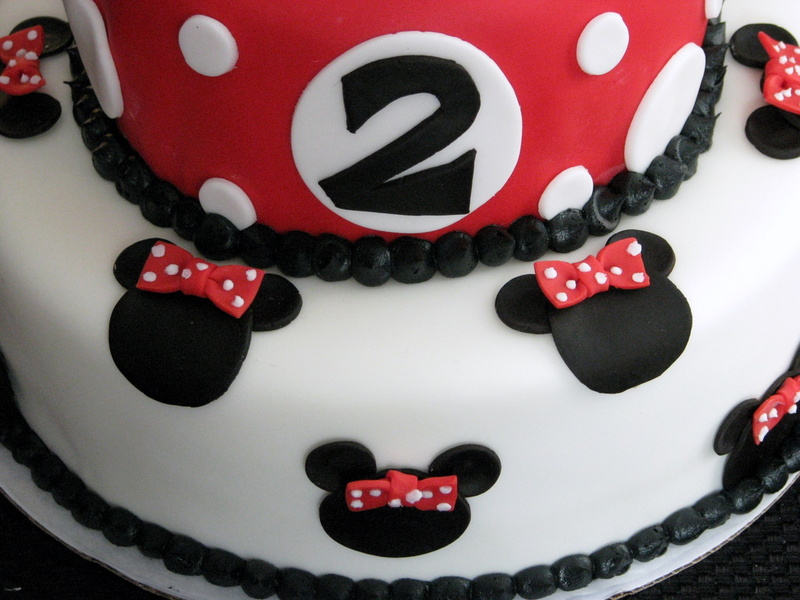 Fondant cake decorating is like ultimate edible arts and crafts! 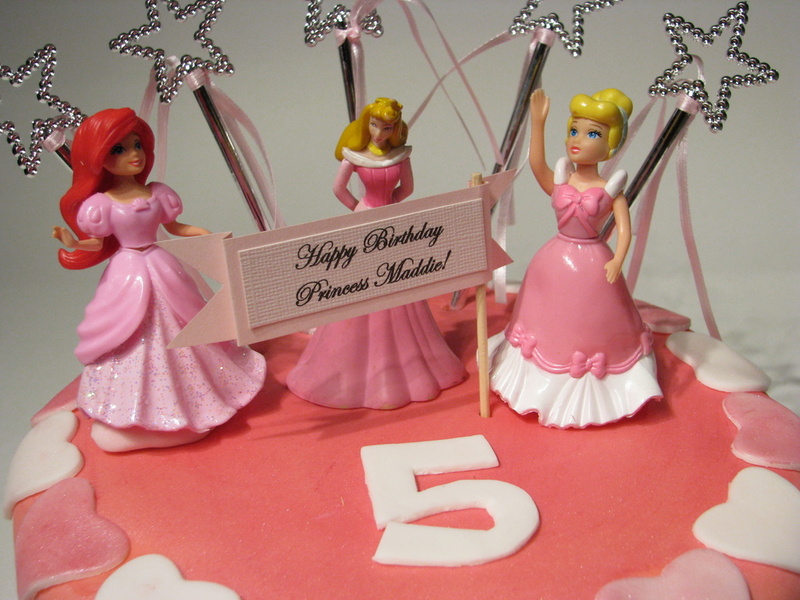 I am still a fondant newbie, but I am having a blast as my adventures continue! 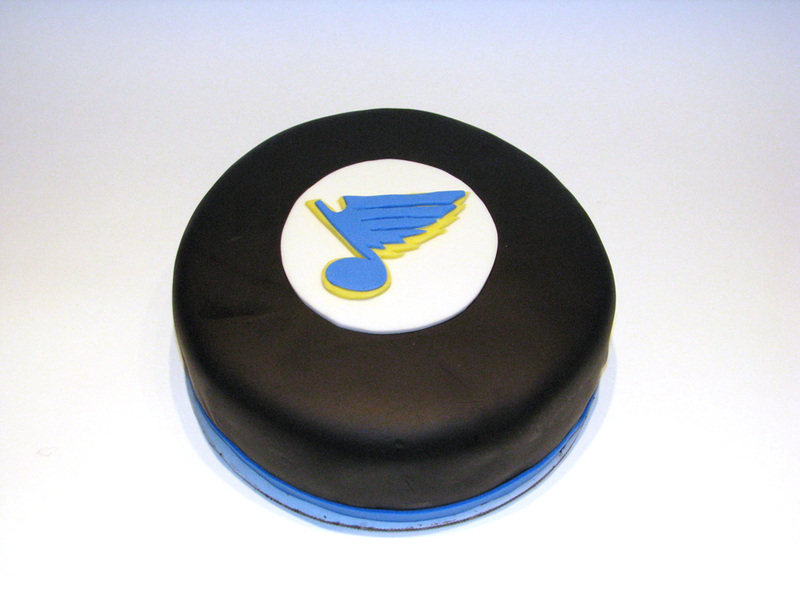 Blues Hockey Cake – Thanks for the tickets, Dave! 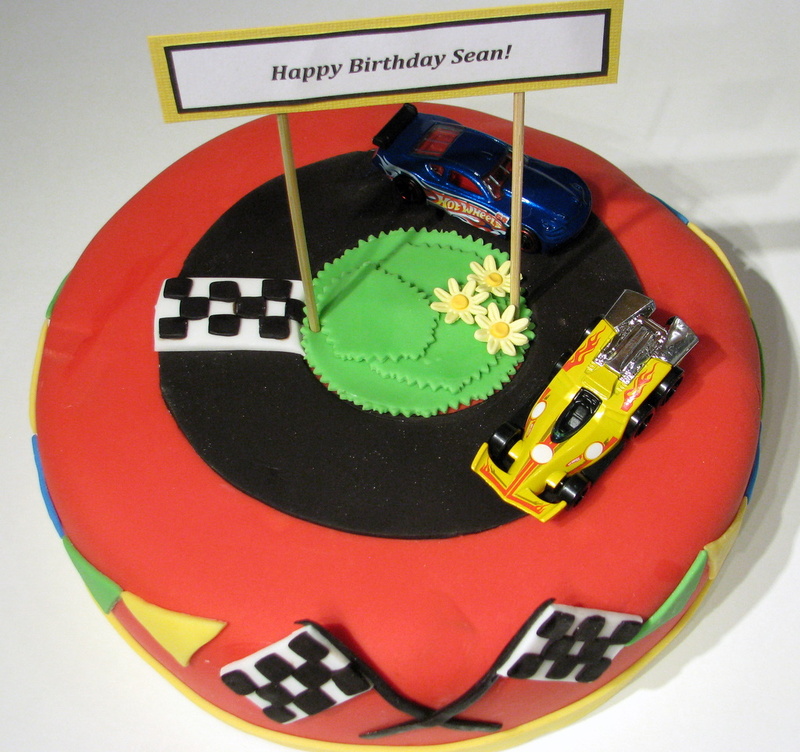 The puck cake is brilliant! I love your blog. The pictures are fantastic! Way to go Annie, your blog is awsome . Who is your talented photographer?….as if I didn’t know. I can’t wait to see more of your masterpieces and share them with my friends.